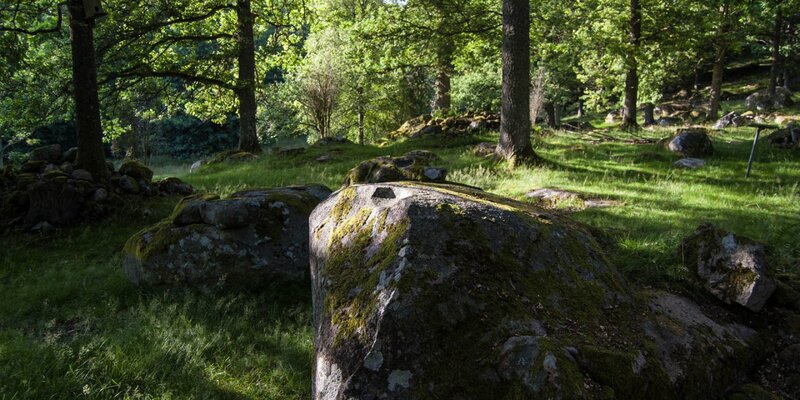 The rune stone Björketorpstenen from the 7th century is located in a wooded area close to Listerby, roughly 10 kilometers east of Ronneby. 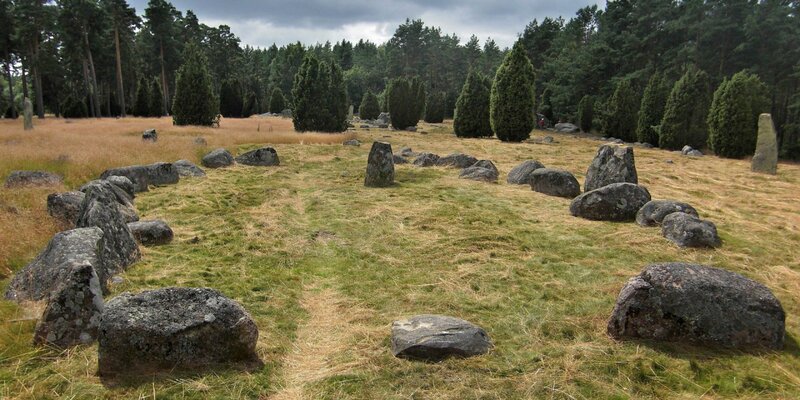 It is the second highest rune stone in Sweden after the Levenestenen in Västergötland. 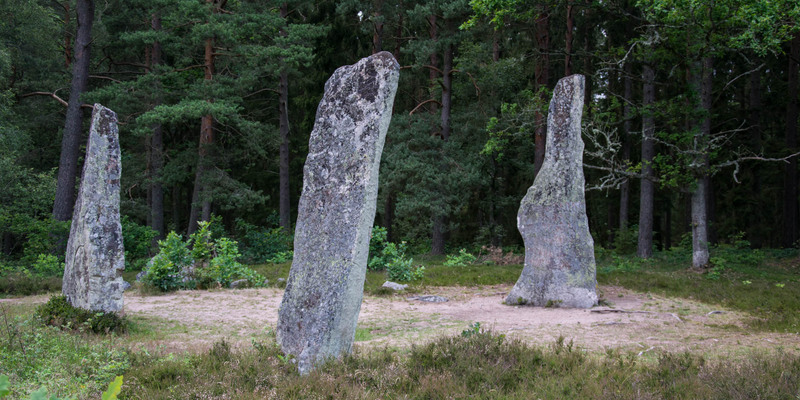 The 4-meter high Björketorpstenen is made of granite and forms a triangle with two other large monoliths, which stands in a circle of seven smaller boulders. 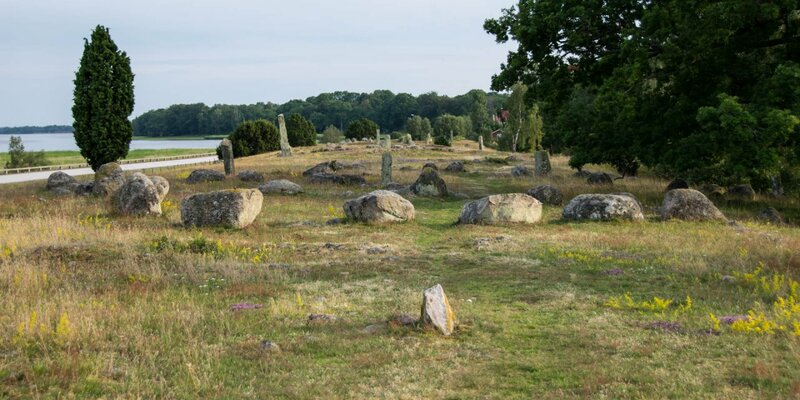 The construction of the monument in connection with the inscription on the rune stone suggests that it is an ancient sacred place or thingstead. Futhark, the oldest of the Germanic runic alphabet, has been used for the inscription, which was written in the special verse of the Galdralag. The peculiarity of the text is that it is not a memorandum, but a dark spell. On the inward-facing side of the rune stone is a long saying, whose most famous interpretation is: "I, master of the runes conceal here runes of power. Incessantly maleficence, insidious death to he who breaks this". The outer side of the stone bears the inscription: "I prophesy destruction".